Star Wars: Bear Force II is a Multiplayer mod set in the Star Wars universe for Mount & Blade Warband, during the Clone Wars and Galactic Civil War era. Most recent version is 0.94. 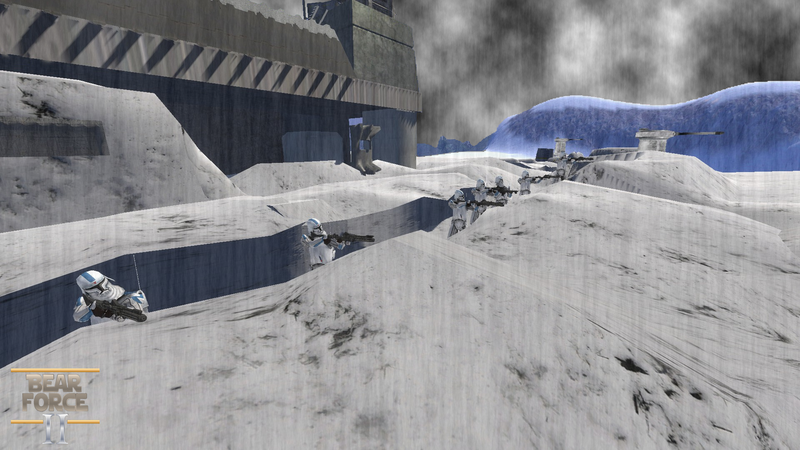 Snow Troopers stationed in a Hoth fortification.